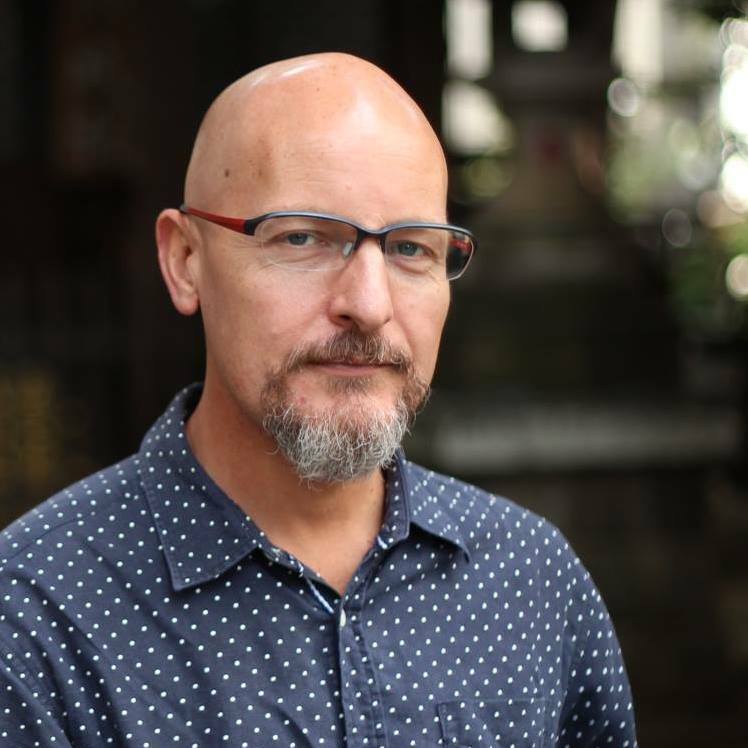 In countries where cycling is perceived as a sport or recreation activity rather than a form of transport one of the barriers of entry for would be cyclists is the idea that cycling requires an investment in special space age, figure hugging, low drag, not to mention technicolor, clothing. Sure, if you're Lance Armstrong it does but for everyday cycling, trips to the supermarket, picking the kids up from school etc. there is nothing wrong with regular everyday clothing. 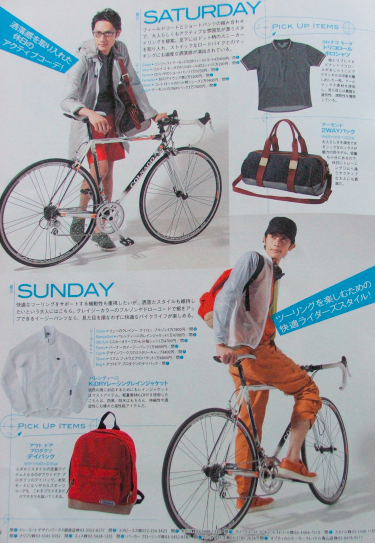 While in Garage Takaido last weekend, I picked up a free cycling magazine which included a feature highlighting "cycling style". 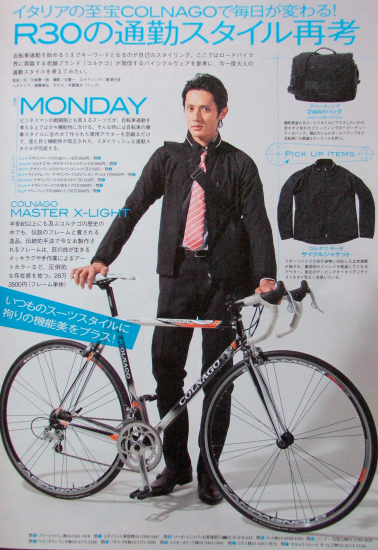 The article featured a fictional business man an his wardrobe for a week of cycle commuting. Finally, a cycling publication admitting the fact that clothing needn't be a barrier of entry for the everyday cyclist. 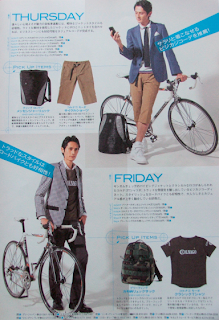 Or so I thought until I perused Mondays outfit which included among other things a Y63,000 bag! I own bicycles cheaper that that! 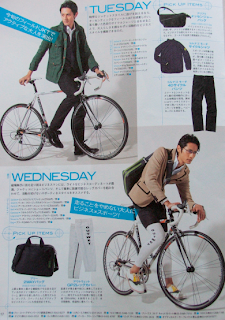 In fact the total for Monday's outfit was a staggering Y264,600, for clothing and accessories, bicycle not included! None of my bicycles are that expensive! In Japan cycling is transport not sport, and we don't have things like helmet laws, or the perception that to cycle you must be squeezed into eye burning lycra outfits. But I can't help thinking that by promoting expensive clothing and equipment while promoting the "fashionable cyclist" image the media is creating a different barrier here in Japan. Not a lycra barrier, but a barrier of brands.